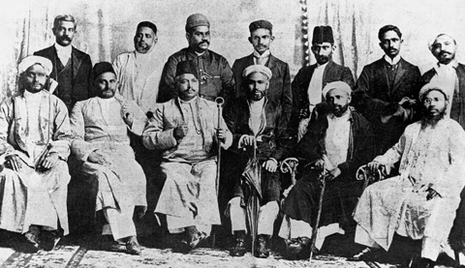 Gandhi realized that what the India urgently needed was a permanent organization to look after their interests. Out of deference to Dadabhai Naoroji, Who had presided over the Indian National Congress in 1893, he called the new organization Natal Indian Congress. He was not conversant with the constitution and functions of the Indian National Congress. This ignorance proved an asset, as he fashioned the Natal Congress in his own way to suit the needs of the Natal Indians, as a live body functioning throughout the year and dedicated not only to politics but to the moral and social uplift of its members. Though it served a community which had very little political experience, it was not a one-man show. An indefatigable secretary though he was, Gandhi enlisted popular interest and enthusiasm at every step. He made the enrolment of members and the collection of subscriptions into something more than a routine. He employed a gently but irresistible technique for exerting moral pressure on halfhearted supporters. Once in a small village, he sat through the night and refused to take his dinner until at dawn his host, an Indian merchant, agreed to raise his subscription for the Natal Indian Congress from three to six pounds. 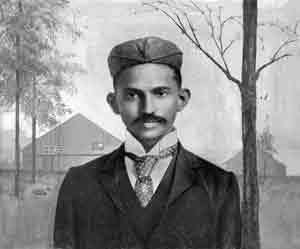 At the end of his contract, Gandhi prepared to return to India. However, at a farewell party in his honour in Durban, he happened to glance at a newspaper and learned that a bill to deny the right to vote to Indians was being considered by the Natal Legislative Assembly. When he brought this up with his hosts, they lamented that they did not have the expertise necessary to oppose the bill, and implored Gandhi to stay and help them. He circulated several petitions to both the Natal Legislature and the British Government in opposition to the bill. Though unable to halt the bill's passage, his campaign was successful in drawing attention to the grievances of Indians in South Africa. Supporters convinced him to remain in Durban to continue fighting against the injustices levied against Indians in South Africa. He founded the Natal Indian Congress in 1894, with himself as the Secretary. Through this organization, he molded the Indian community of South Africa into a homogeneous political force, publishing documents detailing Indian grievances and evidence of British discrimination in South Africa. Gandhi returned briefly to India in 1896 to bring his wife and children to live with him in South Africa. When he returned in January 1897, a white mob attacked and tried to lynch him. In an early indication of the personal values that would shape his later campaigns, he refused to press charges against any member of the mob, stating it was one of his principles not to seek redress for a personal wrong in a court of law.